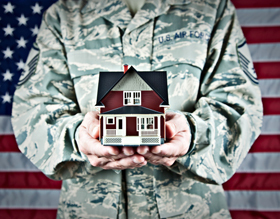 Fact: If a borrower has a claim on their entitlement, they will still be able to get another VA loan, but the maximum amount they would otherwise qualify for may be less. For example, Mr. Smith had a home with a $100,000 VA loan that foreclosed in 2012. If Mr. Smith buys a home in a low cost area, he will have enough remaining eligibility for a $317,000 purchase with $0 money down.­ If he did not have the foreclosure, he would have been able to obtain another VA loan up to $417,000 with no money down payment.